The Iphone 7 has a 4.7″ screen with 1334 X 750 resolution while the Iphone 7 Plus has a 5.5″ screen and 1920 X 1080 resolution. But the biggest most exciting improvement is the camera. The Iphone 7 Plus has 2 cameras – One with a wide-angle and Another with a telephoto lens – each capable of 12MP. They also have all-new-depth-of-field effects which I assume are like Bokeh effects which we see in DSLR photography. This is a technique that’s used to focus on the subject in the foreground and blur the background, creating sometimes circles or dots of light that give it a dreamy, fantasy-looking glow like quality. – which would be great for doll photography by the way, if you collect ABJD such as myself. the zoom on the camera has also been improved with optical zoom at 2x and digital zoom up to 10x for photos and 6x for video. It’s also the first Iphone to be water resistant, which opens up even newer possibilities for photography enthusiasts or hobbyists who like to travel / snorkel / swim or splash and play while on vacation and documenting their vacay photos with their smartphones. The other big enhancement is the processor speed. It is 2 times faster than the Iphone 6. They are claiming it is the most powerful processor ever in a smartphone. This Iphone also has the longest battery life ever in a smart phone. As an Iphone 6S owner, I love the long battery life. I can go 2 or 3 days sometimes without recharging, even when browsing the net, playing apps, or using navigation for 2+ hours a day sometimes. — I can’t immagine the battery life getting even better, but that’s definitely always a good thing! The sound system has also been redesigned. It now supports stereo sound and is 2 times louder than the Iphone 6S. You can connect Apple EarPods with the lightning connector or use the brand new wireless Airpods. They’ve also made significant improvements to the speed of LTE connectivity and roaming (although I don’t really understand how because this seems like it should be a carrier specific issue.) 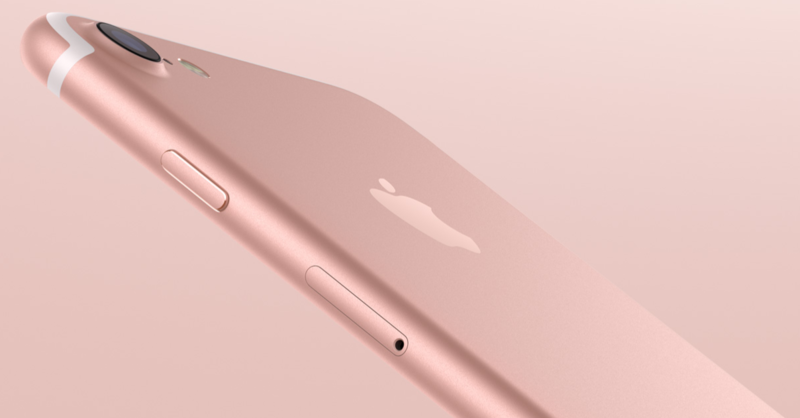 – It is 3 Times faster than the Iphone 6 and over 50% faster than the Iphone 6S – and LTE supports up to 25 Bands. If you’re thinking of upgrading the Iphone 6S to the Iphone 7 – you can get up to $250 immediate credit when you trade in your 6S. Learn more at http://www.apple.com/iphone/trade-up/ Which helps to take a small bite out of the hefty $649 pricetag of the new Iphone 7. The Iphone 7 releases next Friday on September 16 in over 20 countries around the world. Are you going to upgrade to the new smartphone? Or hang on to your current model? As much as I would LOVE the new cameras and faster internet connection, I’m still happy enough with my Iphone 6S — so I will wait this one out! Unless I win one for free or win money or giftcards towards covering some of that cost. I bought my Iphone 6S Out of Contract, and would do the same if I were ever to upgrade to a new model again. Apple does make it tempting and hard to resist the need to have the latest and greatest smartphone. But my favorite thing about Apple Iphones is the app store, which all of the Iphones can access 🙂 so whether you upgrade, or stay where you’re at, you really can’t go wrong being an Iphone owner!